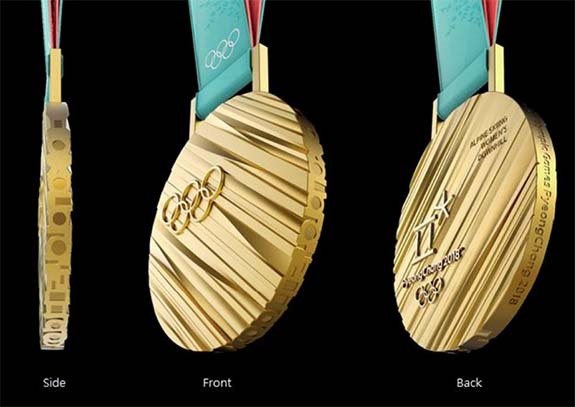 Here's a First Look at the XXIII Olympic Winter Games Gold Medal; Can You Guess What It's Worth? With the new year upon us and the Winter Olympics in South Korea right around the corner, it's time to take a close look at the medals that will be awarded at the Games and noodle out what they're really worth. 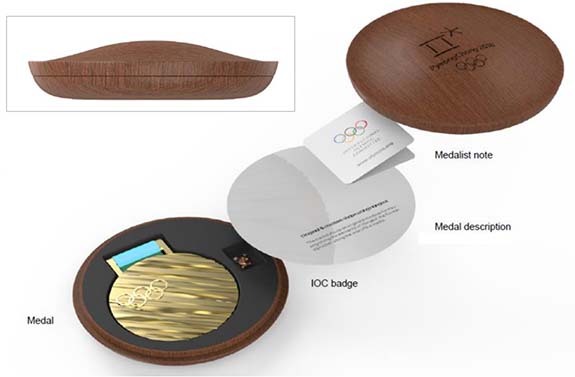 Designed by Seoul-based Sukwoo Lee, the gold, silver and bronze medals to be awarded from February 9 - 25 at the XXIII Olympic Winter Games in Pyeongchang will range in weight from 586 grams for a gold medal to 493 grams for a bronze medal. At today's spot price, the gold medals — if they were, in fact, made of pure gold — would be worth $26,974 each. The truth is that the gold medals contain just 6 grams of pure gold and 580 grams of 99.9% silver, resulting in an actual precious metal value of about $624. The silver medals contain 580 grams of 99.9% silver ($348), and the bronze medals are made of 493 grams of copper ($4.93). Starting in 1916, the International Olympic Committee mandated that gold medals be made mostly of silver, and gilded with exactly 6 grams (0.211 ounces) of 24-karat gold. The IOC also required the medals to be at least 60mm in diameter and 3mm thick. The Pyeongchang medals are 92.5mm (about 3.6 inches) wide. The thickness of the coins range from 4.4mm to 9.42mm. Lee's design was inspired by the texture of tree trunks, with the front bearing the Olympic rings and dynamic diagonal lines that reflect both the history of the Olympics and the determination of the participants. The reverse displays the winner's sports discipline, event and the Pyeongchang 2018 emblem. In total, 259 sets of the medals have been made. The bark-like ridges on the face of Lee's design are made from extrusions of three-dimensional Hangeul consonants. Hangeul, which dates back to the 15th century, is the Korean alphabet and the foundation of Korean culture. The Hangeul letters extend to the edges of the coins and can be read around the rims. The ribbons are made from gapsa, a traditional South Korean fabric. They are light teal and light red in color and embroidered with Hangeul patterns and other designs. The medal comes with a wooden case designed with curves witnessed in Korean traditional architecture. The case will house the medal, medal description, the IOC badge and a medallist note. The Winter Games in Pyeongchang will be followed by the Tokyo 2020 Summer Olympics. Although the medal designs have yet to be revealed, the organizers are imploring environmentally conscious citizens to unload their old cell phones in a recycling effort to amass enough precious metal to create 5,000 gold, silver and bronze medals. 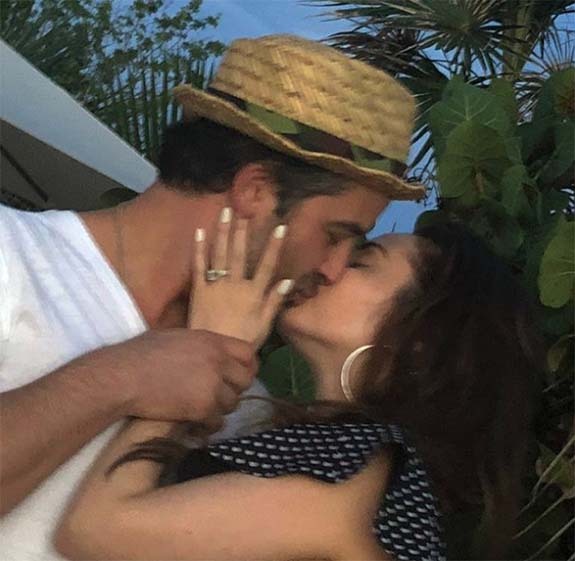 Singer-songwriter Alexa Ray Joel, the 32-year-old progeny of rock legend Billy Joel and former supermodel Christie Brinkley, rang in the New Year with big news of her engagement to restauranteur Ryan Gleason. 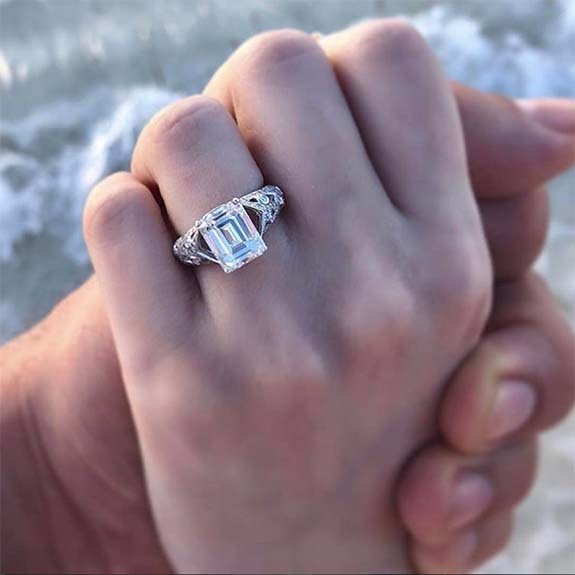 Joel turned to Instagram on Monday to share details of the romantic proposal, along with a great shot of her vintage-inspired engagement ring. We're estimating that the emerald-cut center stone is approximately 2 1/2 to 3 carats and is likely set in platinum or 18-karat white gold. Gleason's Instagram page summed up his feelings in five words: "Luckiest guy in the world!!!!" The surprise proposal took place during a tropical getaway, which coincided with Joel celebrating her 32nd birthday on December 29. One day later, Gleason was on Instagram, posting a photo of his girlfriend, along with the following caption: "Happy Birthday to the strangest girl I know. You make this world such a better place. I love you so much!" One of his followers, wormadette, wrote this insightful comment, "You’re in Love, You’ve been dating for over 3yrs, you’re both in your 30’s....show her the ring!!" Joel's dad, Billy, and mom, Christie, were married from 1985 to 1994. Billy Joel's heartwarming "Lullabye (Goodnight, My Angel)" was written for Alexa when she was seven years old. 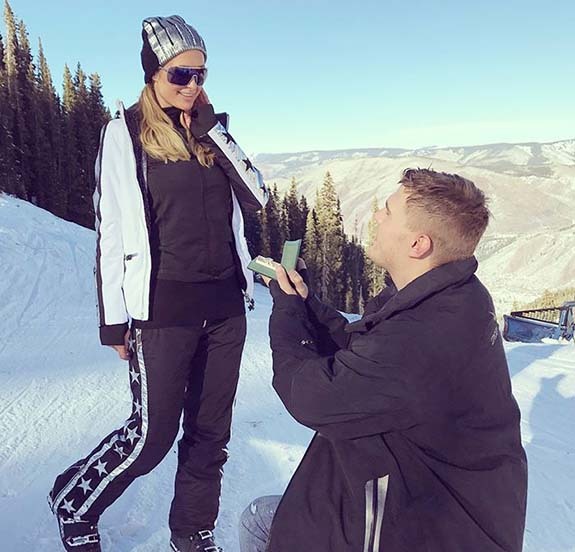 Socialite and former reality star Paris Hilton couldn't be more pleased with the 20-carat pear-shaped diamond engagement ring she received over the holiday weekend from actor Chris Zylka. 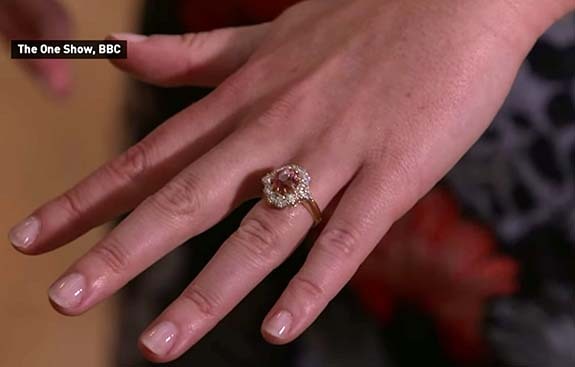 The hotel heiress called the $2 million sparkler a "dream ring" and the "most beautiful thing I have ever seen." 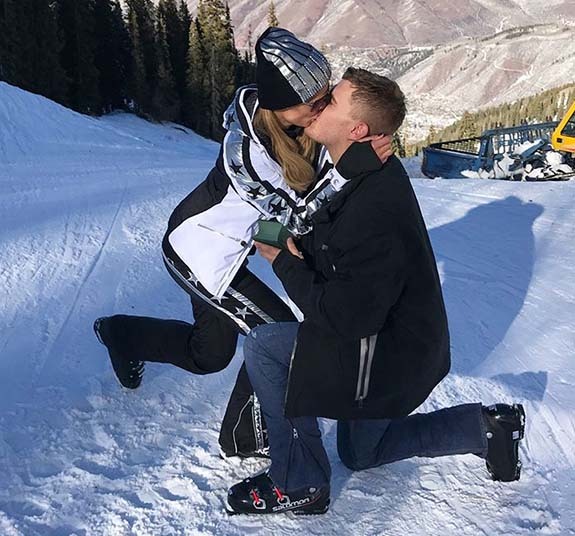 The couple seemed to be on top of the world, literally, when Zylka proposed to Hilton on the Aspen, Colo., mountaintop with gorgeous snow-washed vistas in the background. In a video posted to Instagram, Zylka is seen going down on one knee and opening a ring box in front of a smiling Hilton. Then, in a playful twist, she grabs the box from his hand, crouches down to kiss him, pops up to a standing position and places the ring on her own finger. Celebrity jeweler Michael Greene told Entertainment Tonight that Zylka began his ring shopping about five months ago. The actor had remembered that Hilton mentioned on a number of occasions how much she loves her mother's pear-shaped diamond. The pear-shaped diamond is set on a platinum split-shank band and is framed by a halo of smaller diamonds weighing slightly less than 2 carats. 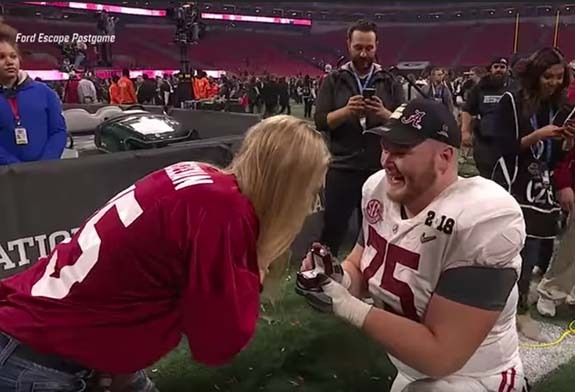 On Tuesday, the 36-year-old delighted her 17.5 million Twitter followers and 7.9 million Instagram fans with photos from the mountaintop proposal. She captioned one pic, "I said Yas! So happy & excited to be engaged to the love of my life. My best friend & soulmate. Perfect for me in every way. So dedicated, loyal, loving & kindhearted. I feel like the luckiest girl in the world! You are my dream come true! Thank you for showing me that fairytales do exist." Greene told People that Zylka, 32, was giddy when he saw the finished ring for the first time. Welcome to Music Friday when we bring you awesome songs with jewelry, gemstones or precious metals in the title or lyrics. Today, Kenny Chesney sings about a man devastated by the emotional scars of a marital breakup in his 1999 ballad "I Might Get Over You." 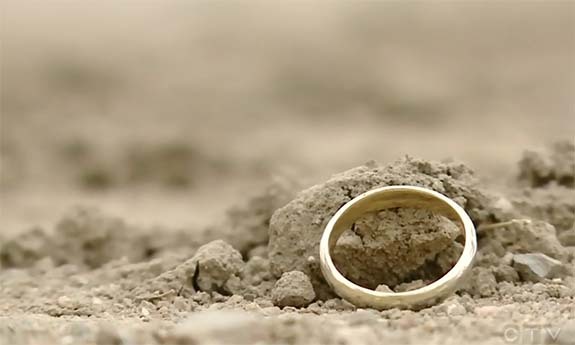 In the song, Chesney's character clings to hope of someday reuniting with his true love and admits that he's still wearing his wedding ring — but not in the traditional way. He sings, "I wear my ring on a chain now, instead of my hand / And I deal with your memories the best I can / I've even been out on a date or two / Someday I might get over you." Written by Kent E. Blazy and Donald R. Ewing, "I Might Get Over You" appeared as the 11th and final track of Chesney's album Everywhere We Go. The album zoomed to #5 on the U.S. Billboard Top Country Albums chart and was certified 2X Platinum with more than two million albums sold. Born in Knoxville, Tenn., in 1968, Chesney didn't realize he had musical talent until he received a cheap guitar for Christmas while attending college at East Tennessee State. "My mom sings, so does my Aunt Sharon," he told Billboard magazine. "So I thought, 'Maybe I should accompany myself and see what happens.' All of a sudden, I was playing weekends at a fraternity house in Johnson City [Tennessee] and at a lot of bars." Upon graduation in 1990, Chesney headed to Nashville to pursue a music career. He landed a regular gig at The Turf, a honky-tonk bar in the city's historic district, and started making a name for himself. Two years later, he caught the eye of an executive from Opryland Music Group. Chesney performed five songs during an audition and scored with a songwriter's contract. In 1993, he would sign a recording contract with Capricorn Records. 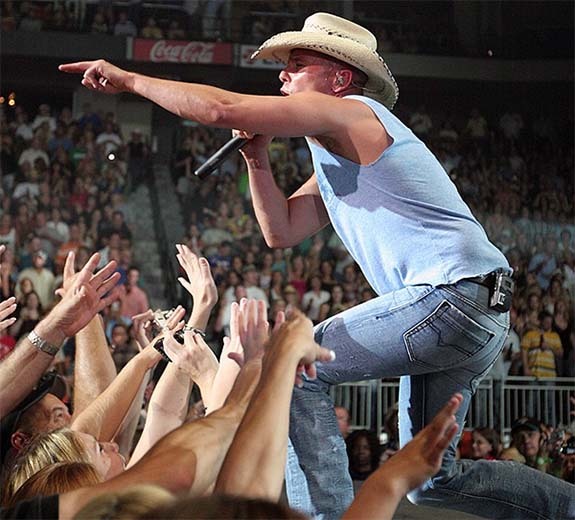 Over the course of his 25-year career, Chesney has released more than 40 Top-10 singles on the U.S. Billboard Hot Country Songs and Country Airplay charts. Nearly 75% of those reached #1. He has sold more than 30 million albums worldwide. Chesney was named Entertainer of the Year by the Country Music Association four times — 2004, 2006, 2007 and 2008. The only other entertainer to have earned such a distinction is Garth Brooks. In September of 2017, Chesney made headlines when he established a charitable fund to help victims of Hurricane Irma. The storm, which caused an estimated $66 billion in damage, left a trail of destruction in the Caribbean, including the island of St. John, where Chesney owns a home. "I Might Get Over You"
Written by Kent E. Blazy and Donald R. Ewing. Performed by Kenny Chesney. Platinum jewelry was front and center at Sunday’s 75th annual Golden Globe Awards as Hollywood's biggest stars wore black to show their solidarity with the "Time's Up" movement, a group dedicated to promoting gender equality in the entertainment industry. And while the red carpet "blackout" conveyed a serious social message, the platinum jewelry adorning the black ensembles exuded glamour and sophistication. White diamond earrings, colorful sapphire and emerald gemstones, and vintage jewelry — all set in platinum — were popular choices for the red carpet, noted Platinum Guild International. Among the A-list celebrities who chose platinum accessories this year were Golden Globe winner Saoirse Ronan (Lady Bird), Emilia Clarke (Game of Thrones), Gal Gadot (Wonder Woman), Eva Longoria (Desperate Housewives) and many more. Ronan, who won a Golden Globe for Best Actress in a Motion Picture, Comedy or Musical for her role in Lady Bird, wore platinum dangle earrings by Cartier. The “Cartier High Jewelry” glistened with diamonds and sapphires. Clarke's V-shaped platinum necklace by Harry Winston flashed with 18.91 carats of diamonds. Completing the look were other Harry Winston pieces, including platinum earstuds with emerald-cut diamonds (6.32 carats) and three platinum bands (not shown). Gadot chose a Tiffany and Co. platinum ensemble, which included diamond chandelier earrings and a bracelet adorned with princess-cut diamonds (not shown). Eva Longoria showed off her baby bump while wearing platinum earrings set with emerald-cut diamonds by Lorraine Schwartz. • Art Deco earrings with diamonds (7.25 carats). • Art Deco Old European ring with diamonds (6.10 carats). • Art Deco ring with diamonds. • Necklace with diamonds (100 carats) and a Colombian emerald center (35 carats). • Ring with a Colombian emerald (42 carats) and diamonds. • Vintage “Secret Wonder” pendant with diamonds, sapphire and aquamarine (30.01 carats). • Vintage 1969 diamond cluster earrings (23.12 carats). • Sparkling cluster diamond earrings (4.25 carats). • Rock band with a radiant-cut diamond (7.7 carats). • Rock band with an oval-cut diamond (8.97carats). • Earrings with pear-shaped Colombian emeralds (32 carats). • Ring with a Colombian emerald (40 carats). • “Secret Combination” necklace with diamonds (111.48 carats). • Earstuds with round brilliant-cut diamonds (8 carats). • “Traffic” ring with diamonds (1.49 carats). • “Winston Cluster Wreath” necklace with diamonds (46.94 carats). • “Secret Cluster” earrings with diamonds (8.35 carats). • “Flower” ring with ruby and diamonds (10.36 carats). • “Winston Cluster Flower” earrings with diamonds (8.19 carats). • “Sunflower Twin” ring with diamonds (1.81 carats). • Earrings with emerald briolette drops (11.59 carats) and kite-shaped diamonds (2 carats), accented with six round diamond connectors, microset with 445 round, single-cut diamonds. Credits: Photos by INSTARImages, provided by Platinum Guild International. The United States Mint is about to launch a three-year platinum proof coin series depicting the unalienable rights cited in the Preamble to the Declaration of Independence — life, liberty and the pursuit of happiness. Created by U.S. Mint Artistic Infusion Program (AIP) designer Justin Kunz, obverse designs in this series are not only stunning, but tell a story brimming with symbolism. 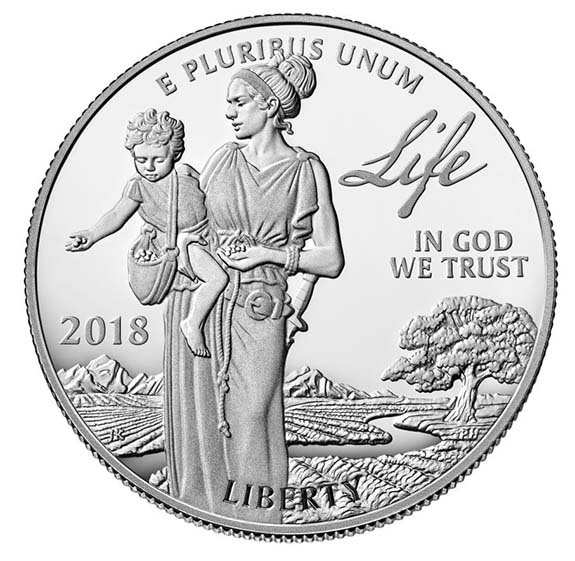 For example, the 2018 coin, which has an official release date of January 25, features “Life” personified by Lady Liberty teaching a small child to sow seeds in a field. According to the U.S. Mint's narrative, the sword she carries symbolizes the power to defend life. The furrowed earth represents the forethought and labor required to sustain life. The tree and stream represent nature, suggesting the need to be good stewards of the environment. The inscriptions "Life" in 2018, "Liberty" in 2019, and "Happiness" in 2020 are likenesses of the actual handwritten words from the Declaration of Independence. The reverse design for all three coins in the series depicts an eagle in flight with an olive branch in its talons. The design was conceived by U.S. Mint Artistic Infusion Program (AIP) designer Patricia Lucas-Morris. Each coin in the “Preamble to the Declaration of Independence Platinum Proof Coin Series” weighs one ounce and is struck in 99.95% platinum. 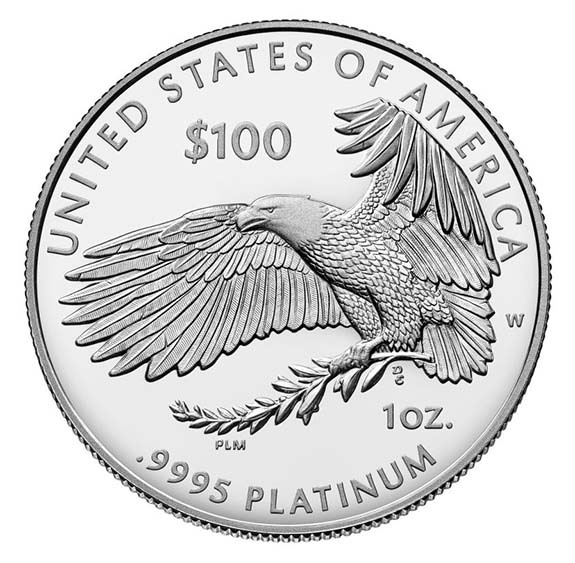 The coins have a face value of $100, although the current spot price of platinum is $967 per ounce. Prices for the coins will reflect the prevailing price of the precious metal, plus a modest premium to cover minting, distribution and marketing costs. They measure 32.7mm (1.28 inches) in diameter. 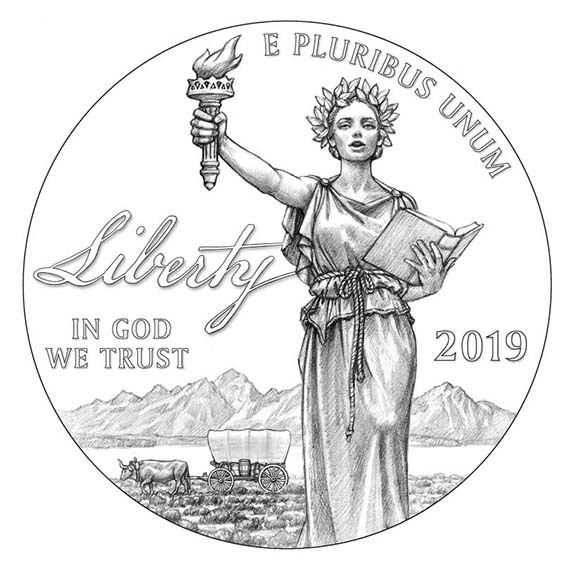 The 2019 obverse design portrays Lady Liberty keeping watch over prairies, lakes and mountains as pioneers head westward. The wild terrain featured in the background evokes the quintessential American spirit to explore new territory and the freedom to pursue new landscapes, new ideas and new ways of life. In the foreground, Lady Liberty’s lips are parted, suggesting freedom of speech. Her torch is an emblem of the guiding light that liberty provides, while the book represents the rule of law. 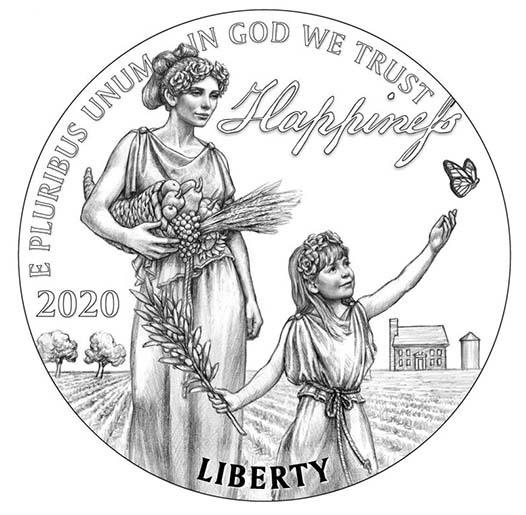 The 2020 obverse design depicts Lady Liberty harvesting the fruits of her labor with a young girl at play nearby. The overflowing cornucopia she carries is a symbol of the physical, intellectual and spiritual bounty only liberty makes possible. The home, orchard and silo represent American hopes, values and aspirations and bring to a close the narrative told throughout the series. The U.S. Mint celebrated its 225th anniversary in 2017. 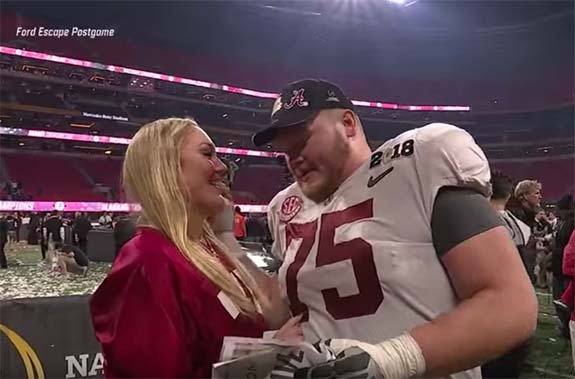 Alabama offensive lineman Bradley Bozeman capped his college football career Monday night with a national championship and a post-game, on-the-field marriage proposal. 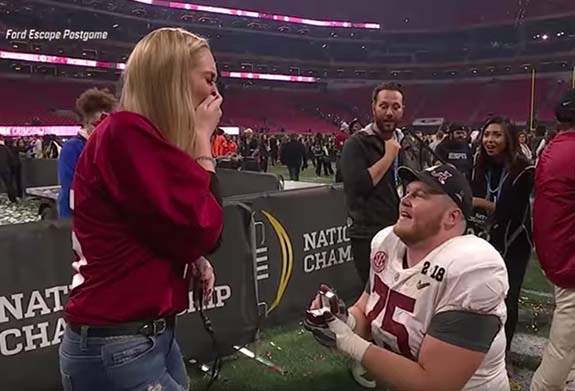 The senior captain and his Crimson Tide teammates were basking in the glory of a stunning 26-23 overtime victory over the Georgia Bulldogs at Mercedes-Benz Stadium field in Atlanta when he unexpectedly popped the question to his girlfriend, former Alabama basketball player Nikki Hegstetter. 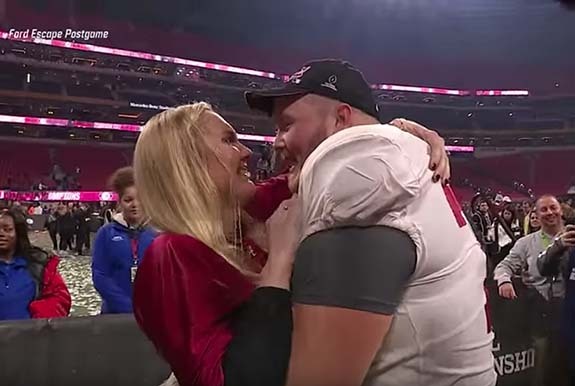 ESPN captured the scene as the 6'4", 315-pound Bozeman — in full football gear and with his hands still taped — cast aside a newspaper that he had cleverly used to conceal a crimson-red ring box. Hegstetter was overwhelmed with emotion as Bozeman went down on one knee and snapped open the box, revealing the ring for the first time. "Will you marry me?" asked a smiling Bozeman. Unable to speak, Hegstetter covered her mouth with both hands and nodded her answer. Then she crouched down to get a better look at her engagement ring and started to cry. 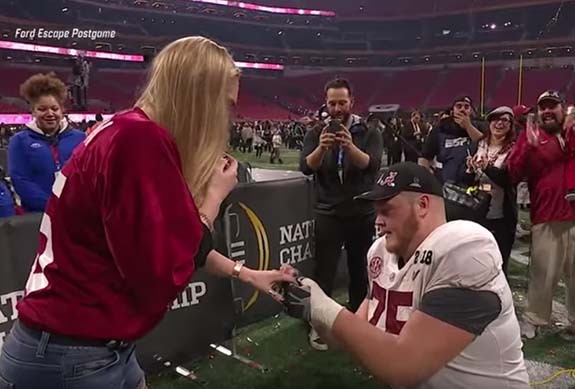 Bozeman placed the ring on her left ring finger while Crimson Tide fans applauded and documented the romantic moment with their cell phones. According to AL.com, the pair had done some preliminary ring shopping, but Hegstetter had no idea that a proposal was imminent. The only people who knew what was about to go down were Bozeman's fellow offensive linemen. He gave them a heads-up five minutes before popping the question. Bozeman also revealed that his surprise proposal was contingent on the success of his team. If the Crimson Tide lost, he would have waited for another day. Alabama had trailed by 13 points at halftime and Bozeman was probably thinking of contingency plans. Fortunately for Bozeman, Hegstetter and the Alabama fans, freshman quarterback Tua Tagovailoa was able to come off the bench to lead a second half rally. A 41-yard pass to DeVonta Smith in overtime sealed the victory. Bozeman is reported to be among the top centers in the upcoming NFL Draft. Credits: Screen captures via YouTube/ESPN. In the song written by Jeffrey Steele and Al Anderson, an infatuated Roe is crazy in love with his “unbelievable” new girlfriend. His life had been lonely and boring, but now a magnificent beauty has turned his world upside-down — so much so that he stutters when he tries to speak to her. The song's jewelry reference includes this line, "Elegant, intelligent, heaven sent, all my money spent / I put a big down payment on that itty bitty diamond ring." Released as the title track of the group's fifth studio album, "Unbelievable” vaulted to #2 on the U.S. Billboard Hot Country chart and #1 on Canada's RPM Country Tracks chart. The song also had crossover appeal, as it settled in at #36 on the broader-based U.S. Billboard Hot 100 chart. “Unbelievable” was originally written for country star George Jones, according to Songfacts.com. When Jones passed on the song, Diamond Rio scooped it up. Recalled writer Anderson, "I know all of a sudden they liked it and cut it and put it out, and it was the most played Arista record that year." 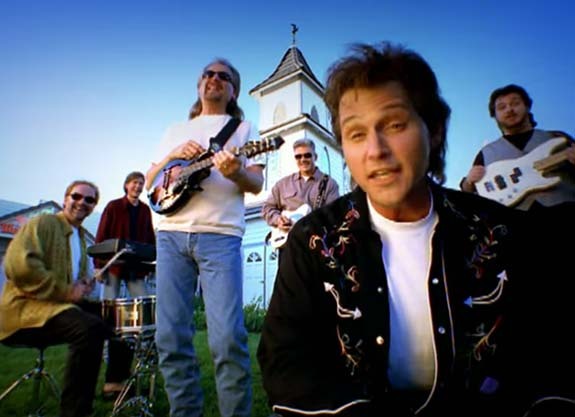 Founded in Nashville in 1982, Diamond Rio has featured the same six members for the past 33 years. They include Gene Johnson, Jimmy Olander, Brian Prout, Dan Truman, Dana Williams and Roe. The group was originally named the Grizzly River Boys (a river rafting ride at Opryland USA). Few band members liked the name so it was changed to the Tennessee River Boys. Their moniker would change one final time in 1990 after the group signed a record deal with Arista. Band member Prout suggested the name Diamond Rio not because he wanted the band to be associated with precious stones or an exotic city in Brazil. The name was, in fact, a nod to the Diamond Reo truck company, which ceased operations in 2013. The group is a 13-time Grammy nominee and was named the Country Music Association’s Vocal Group of the Year four times in the 1990s. The band is actively touring with performances scheduled in the U.S. and Canada from February through August 2018. Written by Jeffrey Steele and Al Anderson. Performed by Diamond Rio. Priceless gems from the British Crown Jewels were hidden from the Nazis in a biscuit tin and buried underground at Windsor Castle during World War II, a BBC documentary revealed last night. Fearing an invasion, King George VI ordered that the most precious jewels — including the Black Prince’s ruby and Saint Edward’s sapphire — be removed from the royal crowns, stashed in a Bath Oliver biscuit tin and buried under a sally port, which is a secret exit from the castle used in times of emergency. The treasures were placed deep in the ground at the royal family's country residence in Berkshire and secured with steel doors. The limestone excavation was filled in with soil and covered with turf. Queen Elizabeth II, who was only 14 at the time, first learned of her father's ploy during her BBC interview with Alastair Bruce. "What was so lovely was that the Queen had no knowledge of it," Bruce noted. "Telling her seemed strangely odd." Some historians speculated that the royal gems had been whisked away during the war to a vault in Canada or a cave in Wales. But, confidential correspondence from Sir Owen Morshead, the royal librarian, to Queen Mary, the mother of George VI, finally uncovered the secret of the biscuit tin. 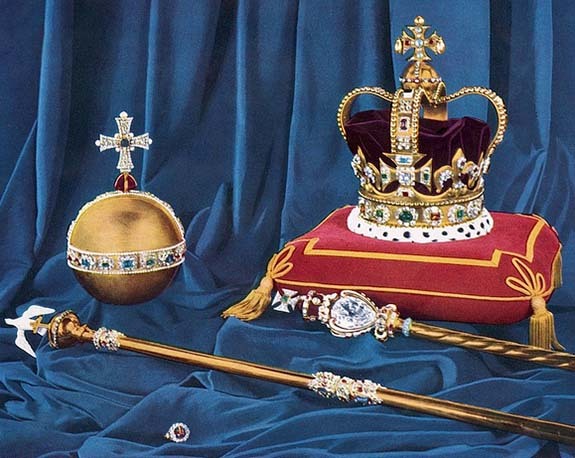 The British Crown Jewels — 23,578 in all — are currently under armed guard in the Jewel House at the Tower of London. 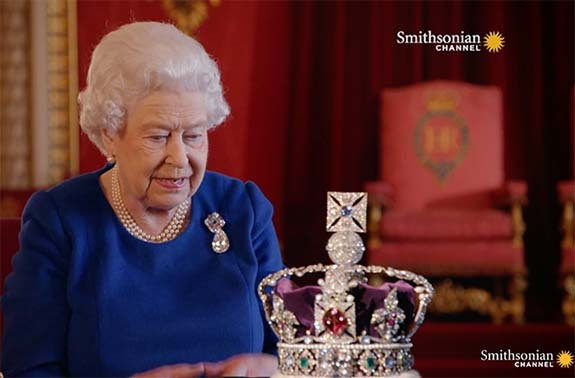 During the interview, the 91-year-old monarch got to take a close look at the Imperial State Crown, the stone's from which were remounted for her father's coronation in 1937. 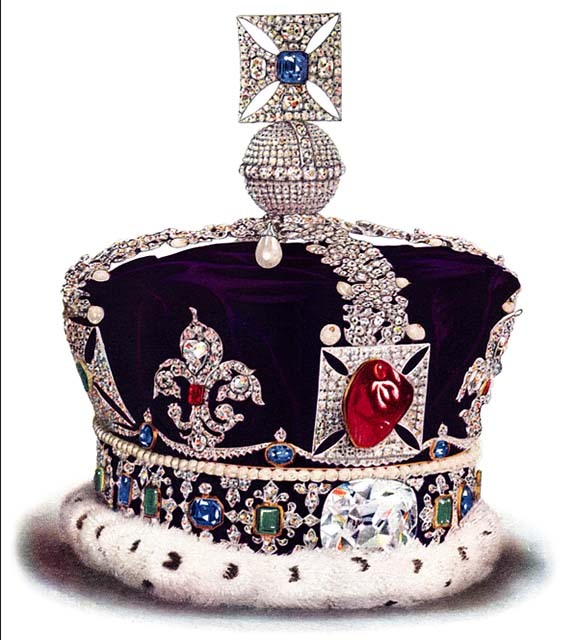 The crown is set with 2,868 diamonds, 17 sapphires, 11 emeralds, hundreds of pearls and a famous ruby that's not actually a ruby. The Queen pointed out that the 2lb 13oz crown has been reduced in height since her father wore it. She also joked that it's important not to look down when wearing the crown as your "neck would break." She told Bruce that her favorite gem in the crown is the Black Prince's ruby, which is, in fact, an irregular cabochon red spinel weighing 170 carats. 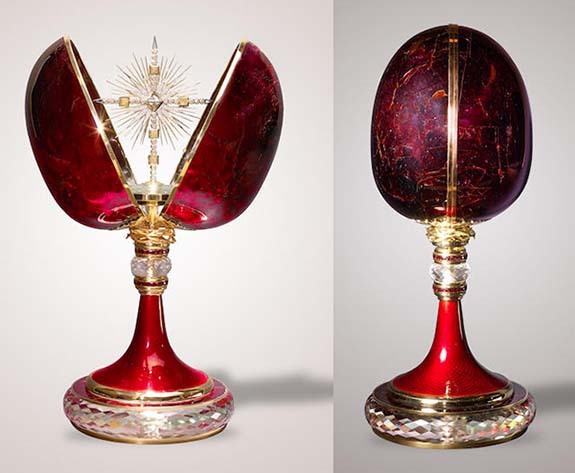 The stone is set in the cross above the 317-carat Cullinan II diamond at the front of the Imperial State Crown and its history dates back to the middle of the 14th century. “I mean, the trouble is that pearls are sort of live things and they need... warming,” she said. Princess Elizabeth ascended to the throne in 1952 at the age of 25 after her father died unexpectedly. The BBC documentary was broadcast by the Smithsonian Channel on Sunday night. Credits: Queen Elizabeth II screen capture via Smithsonianchannel.com; British Crown Jewels, including Saint Edward's Crown, by United Kingdom Government [Public domain], via Wikimedia Commons; Imperial State Crown showing Black Prince's ruby by Cyril Davenport (1848 – 1941) [Public domain], via Wikimedia Commons. 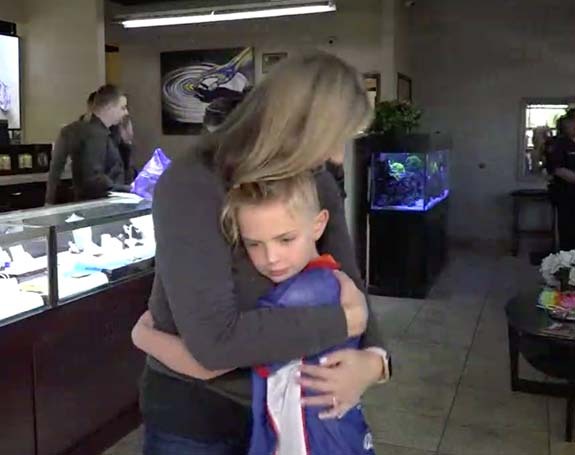 The community of Cedar Park, Texas, is singing the praises of 8-year-old Hudson Komendera, who not only spotted a lost engagement ring in a parking lot and helped reunite the ring with its rightful owner, but also donated his $300 reward to a local family that lost two boys in a tragic car crash. 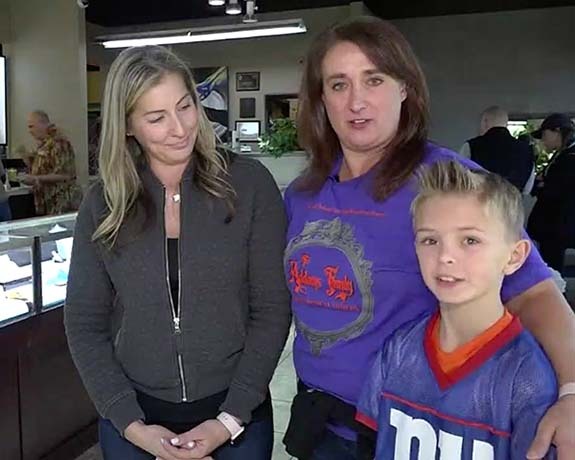 Hudson and his mom, Stacy Komendera, had just gotten out of their car at a local shopping center last week when something on the sidewalk caught the little boy's eye. “I found a ring,” Hudson exclaimed. Stacy told a reporter for ABC affiliate KVUE that, at first, she didn't think much of the discovery. She recalled telling her son, "Great, we're at the Dollar Tree, honey." Young Hudson told the reporter, "She didn't believe me. She thought it was a fake little plastic ring." What Hudson held in his hand was a slightly bruised, but very valuable, diamond engagement ring. Stacy decided to secure the ring and attempt to find its rightful owner. Meanwhile, fellow Cedar Park resident Faith Goldberg was distraught over losing her cherished engagement ring — a ring her husband purchased for her less than a year ago to symbolize their 17 years together. Goldberg had lost the ring while shopping a few days earlier and was pretty sure it was gone forever. Goldberg's husband told her over and over that the ring could be replaced and that everything was OK. But, Goldberg wasn't about to give up without a fight. 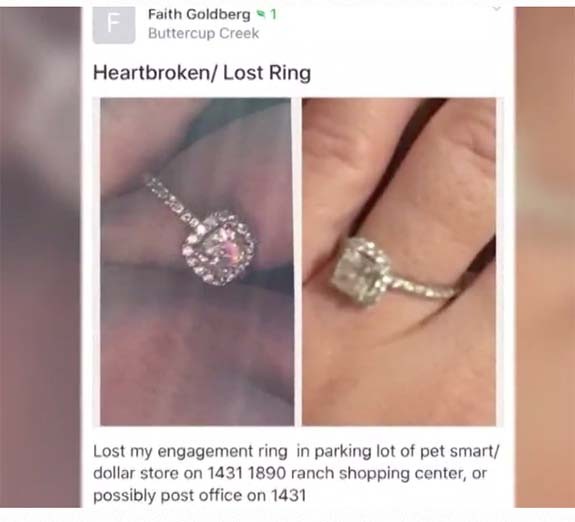 Under the title, "Heartbroken/Lost Ring," she posted two photos of the engagement ring to the community social media site Nextdoor.com, along with a caption offering a clue to where it may have been lost. She wrote, "Lost my engagement ring in parking lot of pet smart/dollar store on 1431 1890 ranch shopping center, or possibly post office on 1431." By coincidence, Stacy was checking Nextdoor.com to learn about a car accident that had just claimed the lives of two young boys. One post down from the item about the accident was Goldberg's desperate plea. The photo matched Hudson's find exactly. 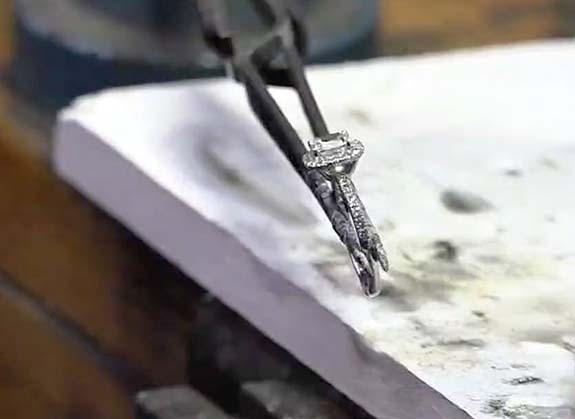 Instead of contacting Goldberg right away, Stacy brought the damaged ring to a local jeweler to be fixed and shined up. Once the ring looked good as new, it was time to reunite it with its rightful owner. A KVUE news team was on hand when Goldberg met her little hero for the first time. “I honestly didn't think I'd see it again, but I did,” Goldberg told KVUE. Goldberg rewarded Hudson with a well deserved hug, a gift card and $300 in cash. Hudson chose to donate the money to the Cedar Park family that lost two boys in last week's tragic car crash. Credits: Screen captures via KVUE.com. The prolific Letšeng mine in the tiny southern Africa kingdom of Lesotho has produced another mammoth gem-quality diamond. 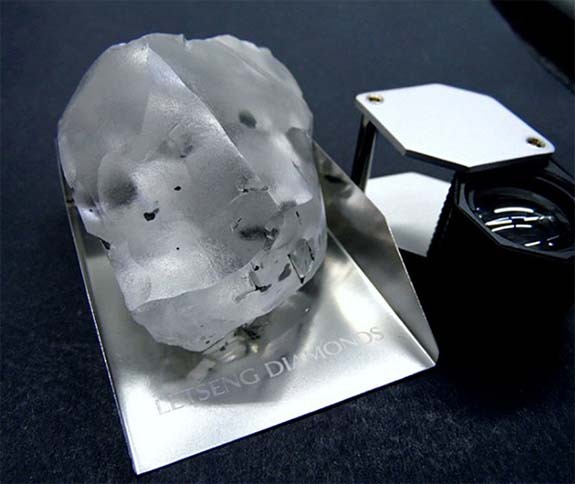 Weighing 910 carats, the D-color, Type IIa stone is the largest ever mined at Letšeng and the fifth-largest gem-quality diamond ever recovered in world history. The yet-to-be-named gem is probably worth more than $50 million based on recent sales of colossal diamonds exhibiting nearly identical characteristics. For example, the 1,109-carat Lesedi La Rona (#2 on the all-time list) was sold in September of 2017 for $53 million. In May of 2016, the 812-carat Constellation (#7 on the all-time list) fetched $63 million. Sourced at Lucara's Karowe mine in Botswana, both D-color diamonds were rated Type IIa, which means they are chemically pure with no traces of nitrogen or boron impurities. Despite having a land mass slightly smaller than Maryland, Lesotho is an international powerhouse when it comes to turning out huge, top-quality stones. “Since Gem Diamonds acquired Letšeng in 2006, the mine has produced some of the world’s most remarkable diamonds, including the 603-carat Lesotho Promise," noted Gem Diamonds CEO Clifford Elphick. "However, this exceptional top-quality diamond is the largest to be mined to date and highlights the unsurpassed quality of the Letšeng mine." Here's a list of the most newsworthy stones to come from Letšeng, which is billed as the highest dollar-per-carat kimberlite mine in the world. The newly unveiled 910-carat rough diamond has an equivalent weight of 182 grams, or 6.41 ounces. A baseball, by comparison, weighs 5.25 ounces. The fifth-largest gem-quality diamond ever mined is less than one-third the weight of the granddaddy of them all — the 3,106-carat Cullinan Diamond, which was discovered in South Africa in 1905. Finished gems cut from the Cullinan Diamond include the Cullinan I (530.20 carats) and the Cullinan II (317.4 carats). The United Kingdom-based Gem Diamonds holds a 70% stake in the Letšeng mine with the government of Lesotho owning the remaining 30%. A new collection of gem-spangled footwear has the well "heeled" women of Dubai — and the world over — buzzing with excitement. Inspired by iconic royal women, from Cleopatra to Princess Diana, the collection by UAE-based luxury brand Jada Dubai is headlined by a one-of-a-kind pump adorned with 54 carats of brilliant-cut white diamonds and 416 carats of rose-cut white sapphires set in platinum and 19-karat gold. They're simply called "Jada Shoes." Only one pair is available worldwide and it carries a price tag of 1.1 million dirhams, or just under $300,000. Jada Dubai co-founder Majari Maria told GulfNews.com that the pair took one year to produce and demanded the collaboration of precious stone specialists from three countries. "Jada Shoes" were designed to honor Jada, the Princess of the Desert. According to the legendary love story, a prince fell in love with Jada, whose captivating eyes were as green as jade, but, alas, she was just a beautiful mirage. Jada Dubai claims that its shoes are the first in the world with both the insole and outsole covered in gold and platinum. Other shoes in the “The Imperative of Royalty” collection are named for Diana (Princess of Wales), Grace Kelly (Princess of Monaco), Cleopatra (Queen of Egypt) and Josephine (Empress of France). Each is limited to just 10 pairs and range in price from about $5,000 to $7,000. Featured gemstones include citrines, black diamonds, rubies and emeralds. 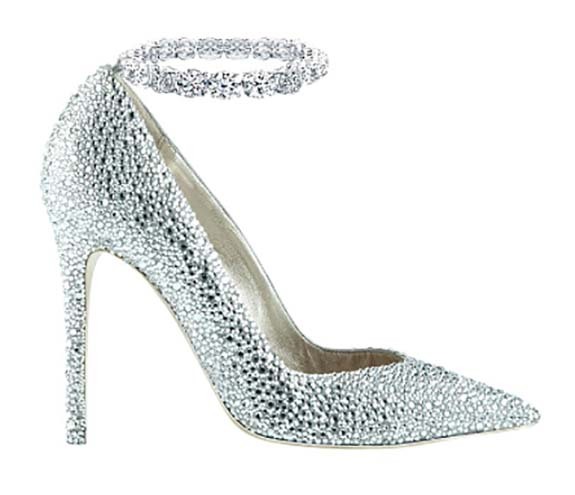 Carrying a price tag of $6,960, the Princess Diana Shoes are adorned with 2,000 citrines and 10 brilliant-cut white diamonds set in 19-karat yellow gold and platinum. The total weight of the citrines is 315 carats. 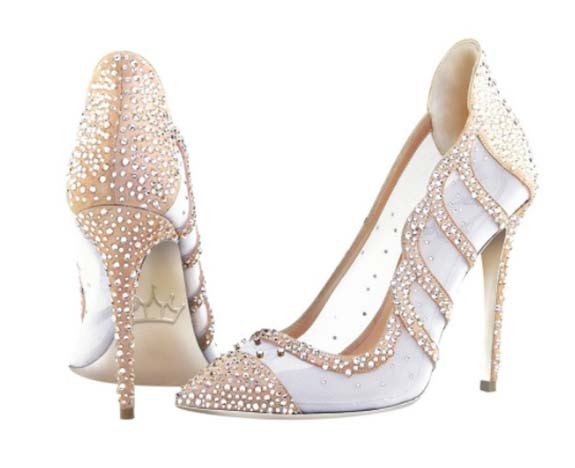 Jada Dubai notes that the ivory color symbolizes elegance and purity. The Grace Kelly Shoes feature a crown motif rendered in white and black diamonds, with other gemstones. The gems are set in 19-karat yellow gold and platinum. The crown, notes Jada Dubai, is the ultimate symbol of power and royalty. Price tag: $5,310. Jada Dubai's Cleopatra Shoes are adorned with two jewelry snakes glittering with 28 black diamonds, four white diamonds and other stones. The snake is a symbol of protection, royalty and seductive power. The shoes are priced at $5,150. 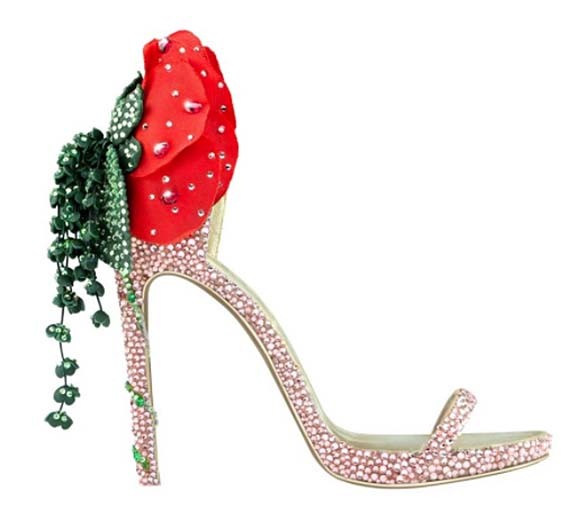 Rounding out the line are the Josephine Shoes, adorned with eight rubies, six emeralds and other colored gemstones set in 19-karat yellow gold and platinum. Featured on the $4,980 pair is Josephine's favorite flower, the rose — one of the most enduring symbols of royalty and passion. Welcome to Music Friday when we bring you classic songs with jewelry, gemstones or precious metals in the lyrics or title. 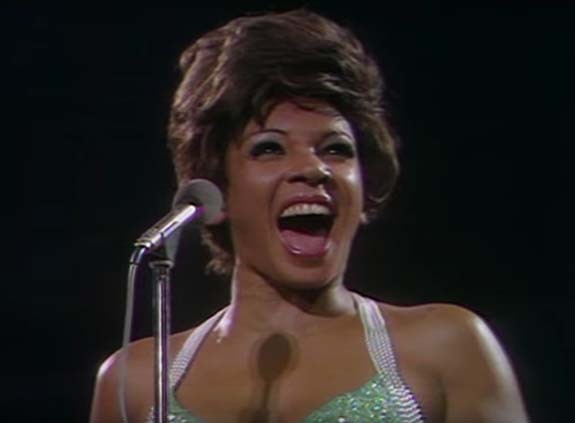 Today, we tell the story of how Dame Shirley Bassey nearly passed out while holding the climactic final note to "Goldfinger," the title song of the 1964 James Bond thriller. Often cited as the best film of the Bond franchise, Goldfinger borrows its name from Auric Goldfinger, a movie villain with a penchant for gilding his victims. In the theme song, which was used for the opening and closing credits, Bassey describes the man with the Midas touch. She sings, "Golden words he will pour in your ear / But his lies can't disguise what you fear / For a golden girl knows when he's kissed her / It's the kiss of death from / Mister Goldfinger / Pretty girl beware of this heart of gold / This heart is cold." Written by John Barry, Leslie Bricuss and Anthony Newley, "Goldfinger" presented a challenging recording session for the then-27-year-old Bassey. Repeated takes due to musicians' or technical issues forced the session to extend throughout the night. Bassey remembered how composer Barry demanded that the dramatic final note of the song be held for an extended count — seven seconds to be exact. "I was holding it and holding it," Bassey said. "I was looking at John Barry and I was going blue in the face, and he's going, 'Hold it just one more second.' When it finished, I nearly passed out." "Goldfinger" was an instant global phenomenon — at the record stores and on the big screen. The single netted Bassey her only Top-10 hit on the U.S. Billboard Hot 100. The song peaked at #8 and charted in seven countries. The movie had a production budget of $3 million and grossed $125 million at the box office. Bassey's remarkable rendition of "Goldfinger" has stood the test of time. In 2008, the single was inducted into the Grammy Hall of Fame, and in 2013, a 76-year-old Bassey was asked to perform the song during the 2013 Academy Awards as part of a tribute to the James Bond franchise's 50th anniversary. A native of Cardiff, Wales, Bassey went on to record the theme songs for two other James Bond films, including Diamonds Are Forever (1971) and Moonraker (1979). In 2000, she become a Dame in a ceremony at Buckingham Palace. She was honored for her services to the performing arts. Written by John Barry, Leslie Bricuss and Anthony Newley. Performed by Shirley Bassey. 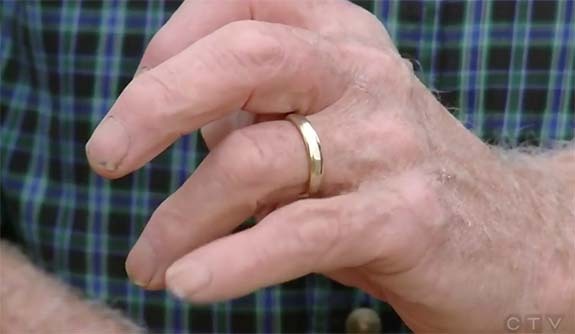 A Saskatchewan man was reunited with his long-lost wedding ring after it flew off his finger while driving down a dirt road in a small farming community in the early 1970s. Bill Wilson blamed the loss on a spunky grasshopper that had leaped into the farmer’s work truck and landed on his chest. Wilson quickly reacted by capturing the small creature and flipping it out the window, along with his gold wedding band. He realized it was gone shortly after, but he was hauling a full load and could not turn back. More than four decades later, neighbor Carlee Goodwin was taking a walk along the very same dirt road. It had rained the day before and the bright afternoon sun reflected on something shiny that caught her eye. 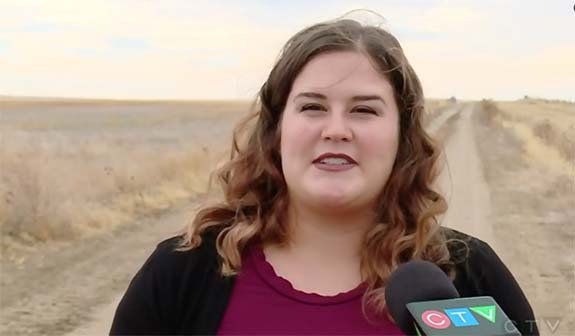 “I was thinking it was a piece of metal off a tractor, but soon realized it was a ring and dug it out,” Goodwin told CTV Regina. She tried it on and noticed it was styled for a man. She wondered how and when it got there. She also wondered about the owner. 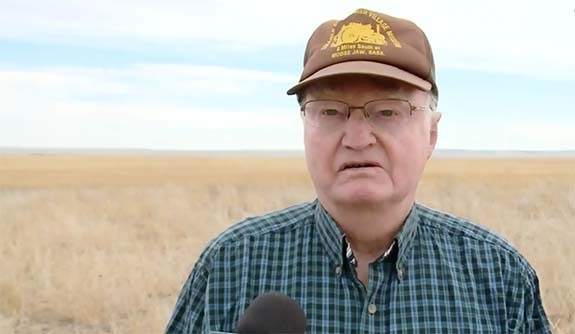 “A ring isn’t something you just throw out the window,” Goodwin told CTV Regina. Intrigued, Goodwin called her grandmother, who suggested that the owner might be impossible to find. After all, the only building on the desolate road was a school that had been closed for nearly five decades. Ironically, Wilson ran into Goodwin’s grandmother at a local auction. She mentioned the ring while making small talk and asked him if he knew anyone who had lost a ring in the area. Stunned, Wilson immediately said yes, noting the design and what was engraved on the inside. Goodwin told CBC/Radio-Canada that it was surreal to find a long-lost ring, and then locate the owner. "I didn't think I would find the owner. I was blown away," she said. "It's almost like the ring wanted to be found. After getting the ring back, the couple stared at it in awe. 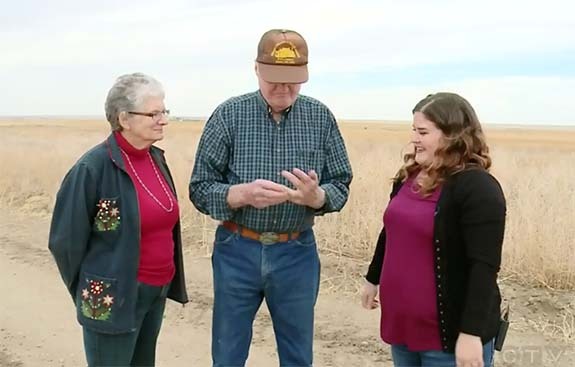 The ring was missing for 45 of their 51-year marriage. In fact, most of his children have never even seen the ring. “I was very surprised and very grateful,” Wilson said. Interestingly, Wilson had never purchased a replacement ring. "It's a little worse for wear, but back on my finger,” he said. Credits: Screen captures via CTVNews.ca. Princess Eugenie's official engagement announcement on Monday has the world asking, "What's a padparadscha?" 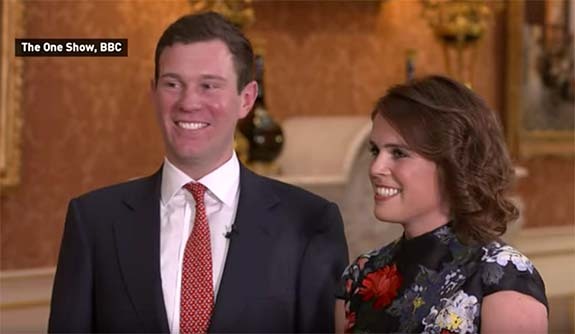 You see, the 27-year-old granddaughter of Queen Elizabeth II received an oval padparadscha engagement ring from her long-time boyfriend Jack Brooksbank. In the official photos released by Buckingham Palace and during a subsequent interview with the BBC, Eugenie proudly showed off her beautiful — but unusual — orange/pink stone. In an instant, the padparadscha had spawned its own storyline. In the BBC interview, Brooksbank, 31, waxed poetic about the gem. "What's amazing about it and why I love it so much is that it changes color from every different angle that you look at it," he said. "And that's what I think of Eugenie. That she changes color." Eugenie's oval padparadscha is surrounded by a halo of white diamonds and is set in yellow gold. 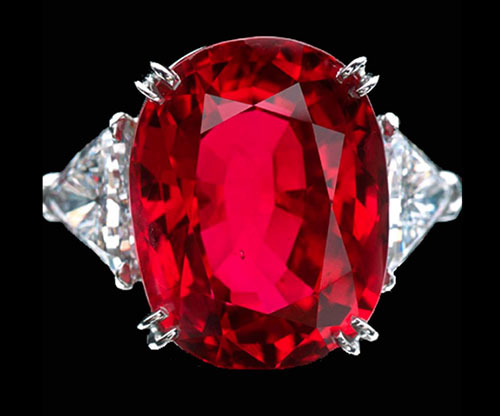 The engagement ring design is strikingly similar to that of her mother, Sarah, Duchess of York, whose ruby center stone complemented her red hair. Called “a true Rembrandt among gemstones,” natural padparadscha is one of the rarest and most valuable varieties of sapphire. Unlike its blue brethren, padparadscha boasts a salmon color reminiscent of the most delicate orange/pink sunset. The gem's name is derived from “padma raga,” which literally means “the color of the lotus flower” in Sanskrit. Padparadscha belongs to the corundum family of gemstones, which includes rubies and sapphires. The presence of trace elements determines the color of each gemstone. While blue sapphires are naturally colored with iron and rubies with chromium, padparadschas are colored by the presence of both. 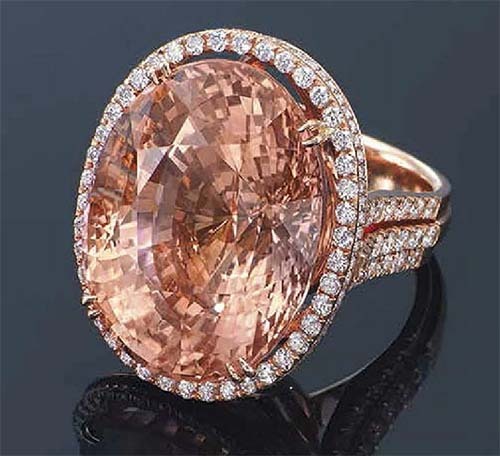 The delicate interplay of pink and orange hues make this gem one of nature’s greatest marvels. An excellent example of this strikingly beautiful gemstone hit the auction block at Christie's Hong Kong in May of 2013. The oval padparadscha weighed 73.98 carats and was framed with brilliant-cut diamonds mounted in 18-karat rose gold. The ring carried a pre-sale high estimate of $1.55 million. Princess Eugenie and Brooksbank are expected to get married later this year and the Queen is reportedly delighted. Credits: Interview screen captures via YouTube.com/The Royal Family Channel; Auction ring photo courtesy of Christie's. In 2016, the most popular baby names in the U.S. were Emma, Olivia and Ava for girls, and Noah, Liam and William for boys. With traditional names making a comeback, expectant parents may consider taking a closer look at the symbolic and beautiful baby girl names associated with precious stones. At the beginning of the 20th century, it was not unusual for a one-room schoolhouse to be filled with young ladies named Pearl, Opal, Coral and Beryl. Parents believed that children named for precious stones might assume the gems' mystical attributes. 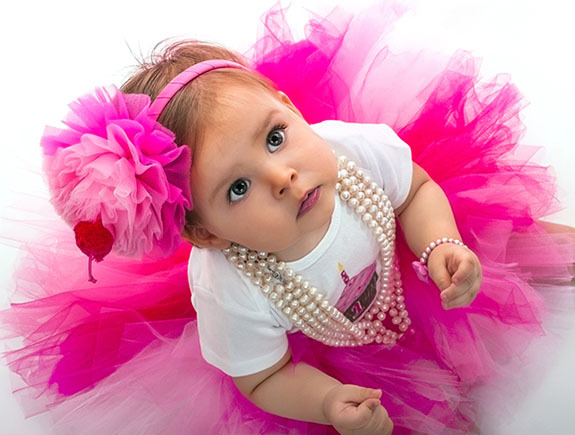 Now, more than 100 years later, seven gem-inspired names are ranked in the Social Security Administration’s official list of the Top 1000 Baby Names. Here’s a countdown of the top names, along with their symbolic meaning and comparative rankings from the year 2000. Incidentally, the name Diamond dropped off the Top 1000 list in 2016 after ranking 162 only six years earlier. • Pearl and Perla. 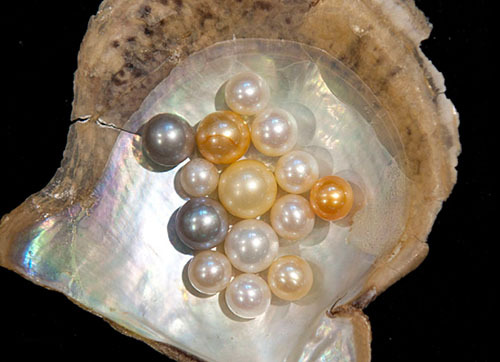 Said to symbolize the purity, generosity, integrity and loyalty of its wearer, Pearl (or Perla in Spanish) was one of the top girl’s names in 1880. It slowly faded from favor over the next 100 years, but resurfaced recently. Pearl ranked #567 in 2016 and its Spanish variant, Perla, ranked #701. Actress/comedian Maya Rudolph named her daughter Pearl Minnie Anderson in 2005. • Esmeralda. The Spanish word for emerald, Esmeralda ranked #377 in 2016, down from #195 in 2000. 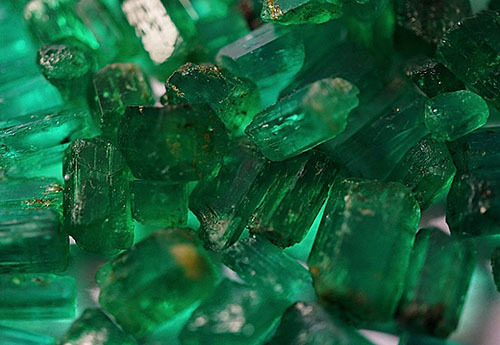 The name Emerald made a brief appearance on the Top 1000 list from 2000 (#966) to 2002 (#995) before falling off in 2003. Emerald symbolizes growth, reflection, peace and balance. Actor Ryan Gosling's daughter is named Esmeralda. • Jade and Jada. 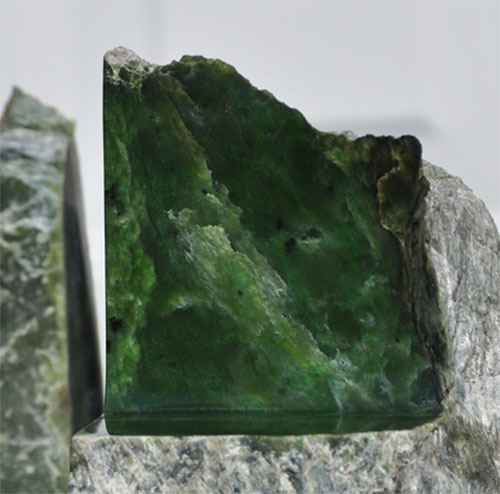 This deep green gemstone, which is revered in the Orient for its mystical and healing properties, arrived on the U.S. top names chart in 1980 and has been in the Top 200 since 1992. In 2016, it ranked #117, down a tick from #116 in 2000. Jada, a slight variation of the name, was also highly ranked at #397 in 2016. TV chef Giada De Laurentiis named her daughter Jade in 2008. Giada happens to be the Italian word for Jade. • Amber. 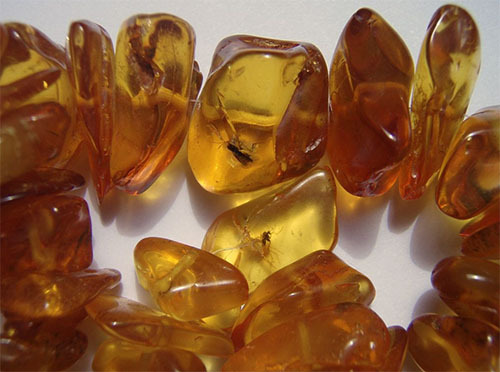 This beautiful deep yellow gemstone is made from fossilized tree resin. It was also a marginally popular girl’s name in the late 1800s (ranking between 800 and 1000). The name Amber zoomed to the very top of the list in 1980 and has steadily slid down the list over the past 37 years. Amber ranked #375 in 2016, down from #47 in 2000. Actresses Amber Heard and Amber Rose share this gem's name. • Ruby. Fiery and captivating, the rich red ruby is known as the stone of nobility and is considered a symbol of passion and power. For the past 137 years, the name Ruby has never placed lower than #400. It was near the top of the list in 1910, reached its low point in 1980 and has been making a rapid ascent ever since. Rated #258 in 2000, Ruby zoomed to #71 in 2016. Ruby Stewart is the daughter of rocker Rod Stewart and model Kelly Emberg. Credits: Baby by BigstockPhoto.com. Pearls by Hannes Grobe/AWI (Own work) [CC BY 3.0], via Wikimedia Commons. Emeralds by By Paweł Maliszczak [hardleo.com] (Own work) [CC BY-SA 4.0], via Wikimedia Commons. Jade by Manfredwinslow (Own work) [Public domain], via Wikimedia Commons. Amber by Brocken Inaglory (Own work) [GFDL or CC BY-SA 3.0], via Wikimedia Commons. Carmen Lucia Ruby courtesy of Smithsonian/Chip Clark. Welcome to Music Friday when we normally bring you fun songs with jewelry, gemstones or precious metals in the title or lyrics. 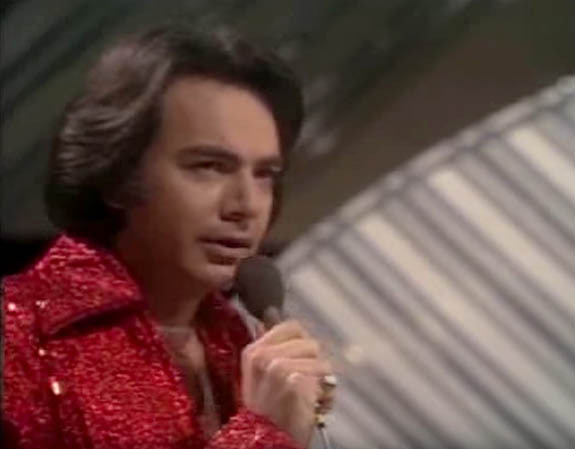 Today we bend the rules just a bit to pay tribute to the incomparable Neil Diamond, who was forced to cancel the third leg of his year-long, worldwide golden anniversary tour due to a Parkinson's diagnosis. Diamond made the announcement on Monday, just two days short of his 77th birthday. Diamond's "so good" comment is a nod to his timeless 1969 hit, "Sweet Caroline," a song that has been woven into the fabric of American culture. Played at sporting events from coast to coast, when Diamond sings the line, "Good times never seemed so good," the crowd chants back, "So good, so good, so good." Originally believed to be an ode to Caroline Kennedy, the then-11-year-old daughter of late President John F. Kennedy, "Sweet Caroline" was actually written for Diamond's second wife, Marcia. Diamond revealed the truth during a 2014 appearance on the Today show. "I was writing a song in Memphis, Tenn., for a session. I needed a three-syllable name," Diamond said. "The song was about my wife at the time — her name was Marcia — and I couldn't get a 'Marcia' rhyme." The song was released in the summer of 1969 and zoomed to #4 on the U.S. Billboard Hot 100 chart. Over the course of his 56-year career as a singer-songwriter-musician, Diamond has sold more than 130 million albums worldwide and placed 38 singles in the Top 10 on the U.S. Billboard Adult Contemporary chart. None has been more enduring than "Sweet Caroline." The song has been covered by Elvis Presley, Frank Sinatra, Roy Orbison, Julio Iglesias and many more. Born and raised in Brooklyn, Diamond was a member of Erasmus Hall High School’s Chorus and Choral Club along with close friend Barbara Streisand. Diamond got his first inspiration to write his own songs when folk singer Pete Seeger visited a summer camp he was attending as a teenager. “And the next thing, I got a guitar when we got back to Brooklyn, started to take lessons and almost immediately began to write songs,” he told Rolling Stone. Written and performed by Neil Diamond. What could be more disheartening than having a surprise marriage proposal scuttled by airport security during a routine bag search? Acting on this problem, a romance-minded airport in the UK has devised a special way for a suitor to slip the ring through security without alerting his soon-to-be fiancée. 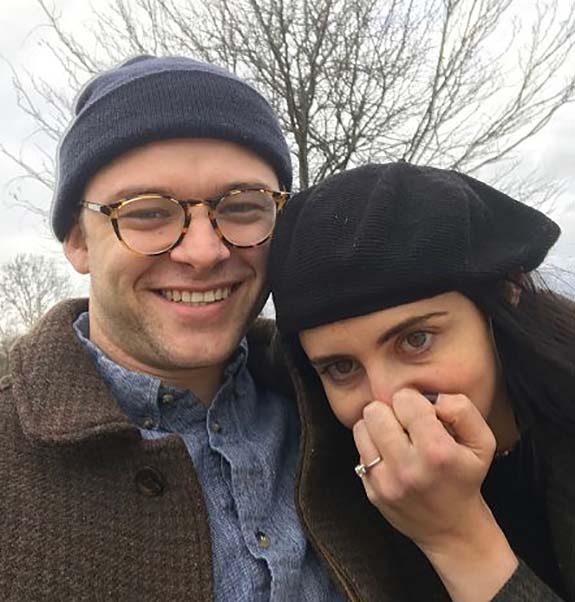 “It would put a big damper on someone’s meticulously planned romantic trip if their big surprise was revealed even before they’ve boarded the plane," noted East Midlands Airport’s head of security, Matthew Quinney. "Arguably, there are more romantic places to be proposed to than in our security hall." Out of courtesy to those who have been planning this moment for weeks or months, the airport has put in measures to ensure its security procedures are not the cause of a failed marriage proposal. During the week of February 12 — to align with romantic Valentine's Day getaways — the East Midlands Airport will offer up a "secret code" to those who plan to pop the question during their trip. Valentine's Day is the second-most-popular day of the year to get engaged, according to WeddingWire.com. Christmas Day ranks first. To obtain the code, the suitor simply emails a request to love@eastmidlandsairport.com or sends a direct message via Twitter to @EMA_Airport. The suitor then receives a secret code that he will reveal to security staff at the airport. That code will alert the staff to divert the ring carrier to a separate lane from his partner, so that his bag search remains away from her view. The airport has been promoting its innovative "secret code" via Facebook and Twitter. It is also encouraging social sharing using the hashtag #LoveIsInTheAirport. East Midlands Airport, which is located in Leicestershire about 120 miles north of London, expects to handle 60,000 passengers during Valentine's Day week. The airport serves a number of romantic destinations, including Dublin, Belfast, Brussels, Malaga, Amsterdam and Gran Canaria. It's still not clear if other international airports will take East Midlands' lead and offer their own "secret codes" during the year's most romantic travel periods. Credits: Engagement ring image via Twitter.com/EMA_Airport. CC0 Creative Commons. Airport security screen capture via TSA.gov. 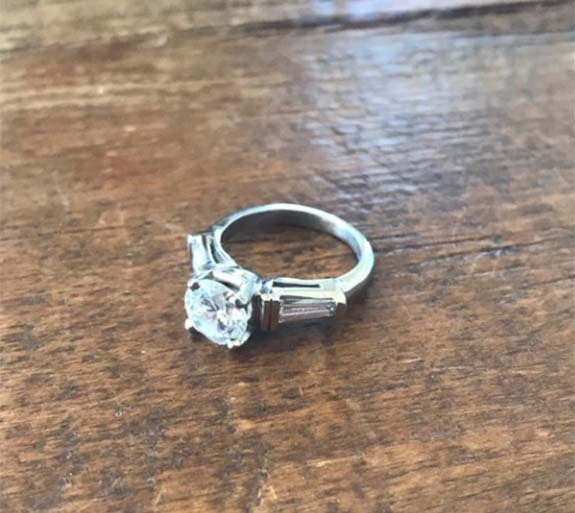 A Los Angeles man is thanking an honest neighbor, a road not taken and divine intervention for the return of an heirloom engagement ring that went missing during a crosstown move. In the span of just two hours, Nico Bellamy's emotions would run the gamut from sheer desperation to unbridled elation. First, a little background on Bellamy, his girlfriend, Caitie Schlisserman, and the ring. For three years, Bellamy was the custodian of a very special piece of jewelry that had been entrusted to him by Catie's dad, Stuart. It was the diamond engagement ring once worn and cherished by Catie's grandmother. 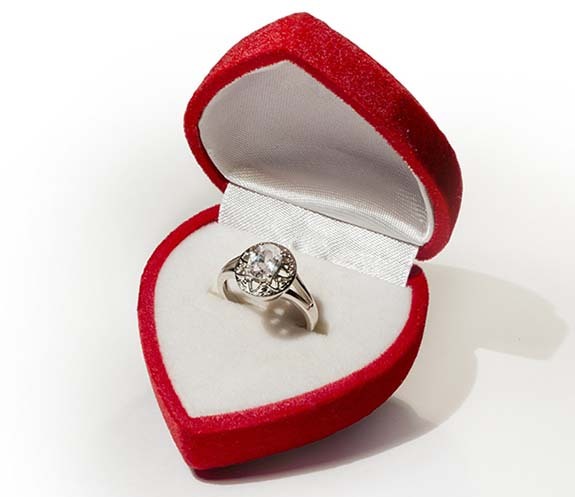 The ring, which features a large round center stone and tapered baguette side stones, would remain in a safe deposit box at the bank until Bellamy was ready to pop the question. This past summer, as the couple prepared to move into a new home together, Bellamy realized that the engagement was imminent and pulled the ring from the safe deposit box. He put the ring in a plastic bag and then in a box. The box would travel to the new home across town in Bellamy's backpack. The backpack ended up on the floor in the living room and there it remained — forgotten for about a week. Then, with Catie's dad set to arrive at the local airport, Bellamy went to check on the ring. To his horror, the backpack was unzipped and the ring was gone. Bellamy suspected that someone from the moving company may have taken it. Bellamy got a sick feeling in his stomach and wasn't sure how he was going to tell Catie's dad the bad news. Catie could sense that something was wrong, but Bellamy couldn't tell her. To make matters worse, Catie's grandmother had passed away only nine months earlier. Bellamy feared the worse. Although he had a great relationship with Stuart, he wasn't sure how the dad would react. Once they arrived at the house, Bellamy made an excuse to rush back out, saying he had to walk the dog. Actually, he zoomed back to the sign. He contacted the family that posted the sign and described the ring he had lost. It was a perfect match. Bellamy had his ring back within an hour. Apparently, the family had found the ring box in a nearby alleyway— close to where the moving trucks were a week earlier. Bellamy believes the movers took the box, but threw it away when they failed to notice that the crumpled plastic within it was hiding a priceless keepsake. Bellamy proposed to Catie on New Year's Eve using Catie's grandmother's ring. At that time, he was finally able to tell her of the crazy twist of fate that returned the ring to their family. The couple wonders if the happy ending was the work of her grandmother helping the family out. Credit: Images courtesy of Nico Bellamy. If quarterback Tom Brady and the New England Patriots win their sixth Super Bowl this Sunday at U.S. Bank Stadium in Minneapolis, Minn., expect their championship rings to be the biggest ever — and we mean BIG. The National Football League, you see, maintains an unwritten rule that allows teams with multiple Super Bowl victories to design the most extravagant rings. The more Vince Lombardi Trophies, the bigger the ring. 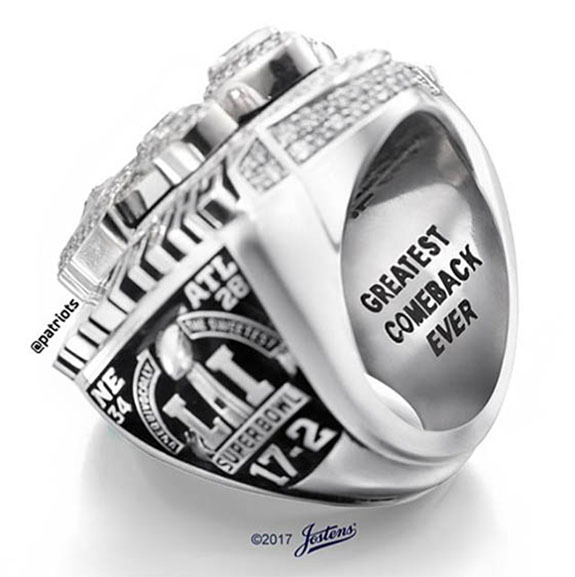 In June 2017, the Patriots commemorated their fifth championship and greatest comeback in Super Bowl history with monumental rings gleaming with 283 diamonds weighing 5.1 carats. At the time, team owner Robert Kraft said, “It was a historic comeback win and the players deserve to have a ring that represents that accomplishment. So, we created the biggest Super Bowl ring ever made." The 283 diamonds were a nod to the score of 28-3, the seemingly unsurmountable deficit the Patriots faced before going on to tally 31 unanswered points in their triumph over the Atlanta Falcons. 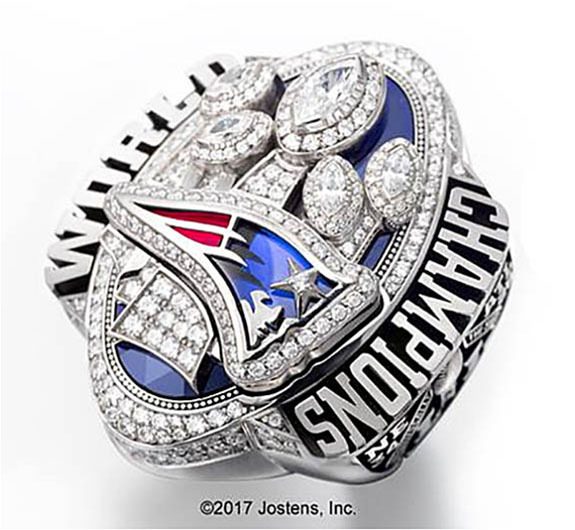 Ring manufacturer Jostens didn’t officially announce the gram weight of the 2017 nor the 2015 Super Bowl rings, but they were much larger than the Patriots’ 2004 rings, which reportedly weighed 110 grams (just under one-quarter pound). Jostens documented the evolution of the Patriots' championship rings in this amazing photo. If the Philadelphia Eagles prevail on Sunday, it will be their first Super Bowl victory. 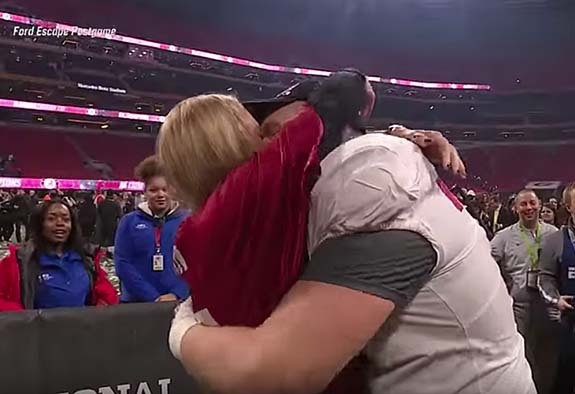 We expect their championship rings will be similar in size to the one earned by the first-time Lombardi Trophy winner Seattle Seahawks in 2014. Those rings weighed in at a modest 56 grams, one of the smallest in recent Super Bowl history. The cost of the Patriots' rings have far exceeded the norm. In 2015, Business Insider reported that the Patriots' Super Bowl XLIX rings were worth $36,500 apiece. If the favored Patriots win Super Bowl 52, they will tie the Pittsburgh Steelers for the most Super Bowl victories at six. The Dallas Cowboys and the San Francisco 49ers each have won five.